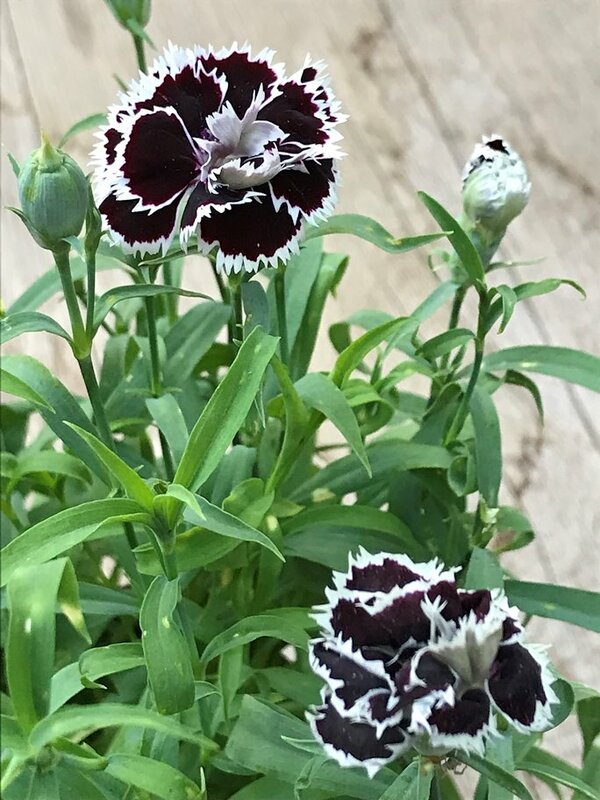 WICKED LITTLE BLOOM: I never buy Dianthus at the nursery but this one (Dianthus chinensis heddewigii ‘Black And White Minstrels’) grabbed me by the eyeballs for obvious reasons. 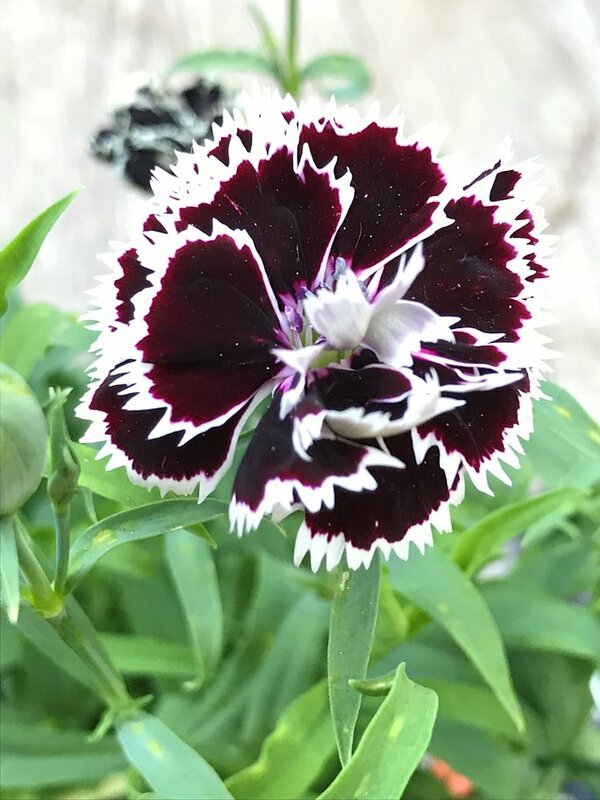 Depending on the light, the petals appear deep-dark Cabernet in color or almost black. So stunning, especially with the ruffled white edges. Being a huge “Hedwig & The Angry Inch” fan and all, I was a bit tickled by the variety/subspecies name, heddewigii. In the above image, Ms. Hedwig bears a striking resemblance to the flowers, wouldn’t you say? THREE CHEERS FOR POLLINATION! 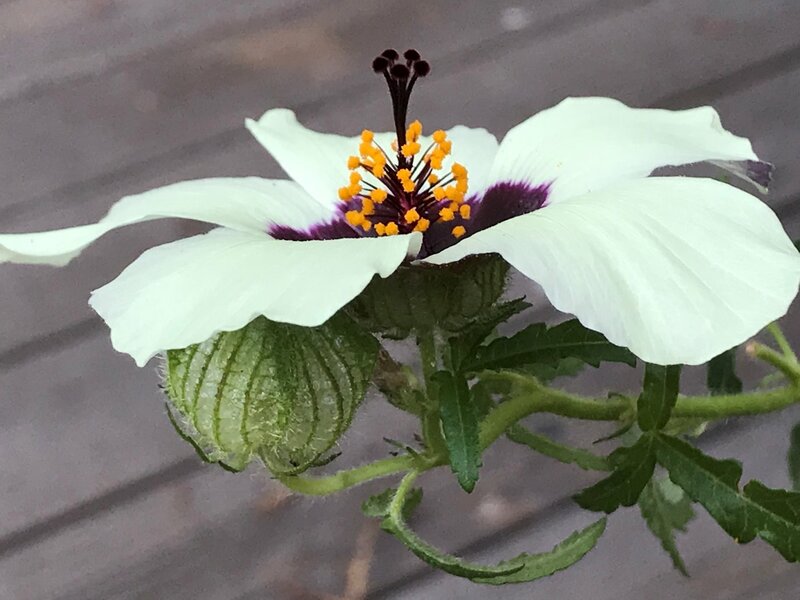 Side view of Hibiscus trionum (Flower-of-an-Hour). The stigma emerging from the golden burst of stamen reminds me of cheerleaders raising their pom-poms in victory. Hooray!